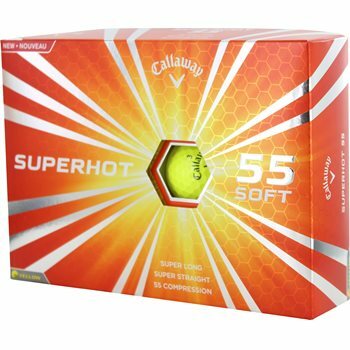 The Callaway SuperHot 55 Yellow golf ball is long from the tee to the green with its aerodynamic design that''s built for low drag and optimal lift to keep the ball in the air longer with a strong flight. The ball''s soft mantle and cover system work together to create low spin that reduces hooks and slices for more controlled, straighter shots. The low 55 compression lets you compress the ball with soft feel.